Ey up, my name is Stewart and I'm a full stack web developer. The majority of clients I work with prefer to operate under a Non-Disclosure Agreement (NDA), which I am more than happy to sign. Below is a small selection of my most recent work that I am permitted to show. Contact me for more examples of my work and to request a copy of my CV. 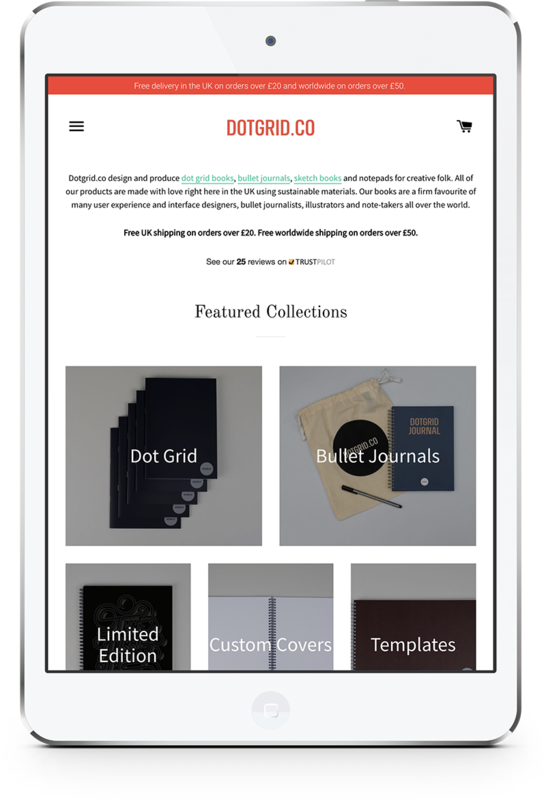 Dotgrid.co approached me with a Sketch mockup and the vision of turning it into a fully functional, device responsive, Shopify store to sell their bespoke dot grid books. 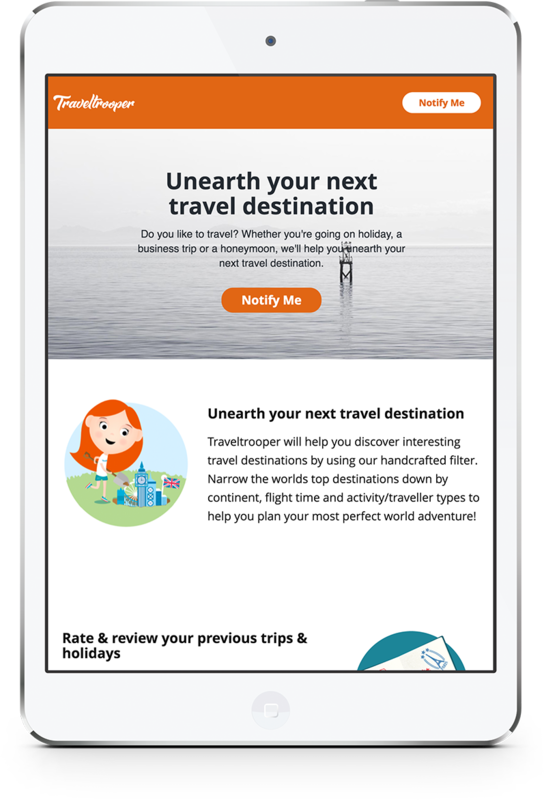 Start-up Traveltrooper came to me with a clear, and ambitious, vision - to change the way travelers unearth their next travel destination. To conquer their goal I worked closely with the client to develop a bespoke CMS using popular PHP framework, CakePHP. 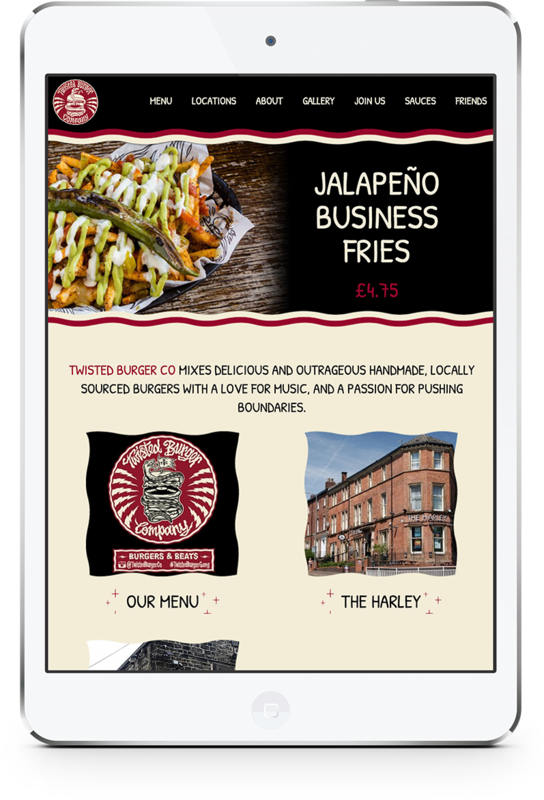 The Twisted Burger Co. website is still my favourite project worked on during my time at Sheffield based digital agency, Evoluted. The client were open to new and innovative ideas. I took this as an opportunity to use subtle parallax effects to being the website to life. The people behind Results approached me to convert a PSD visual to a single page HTML website to promote their Android and iPhone apps. 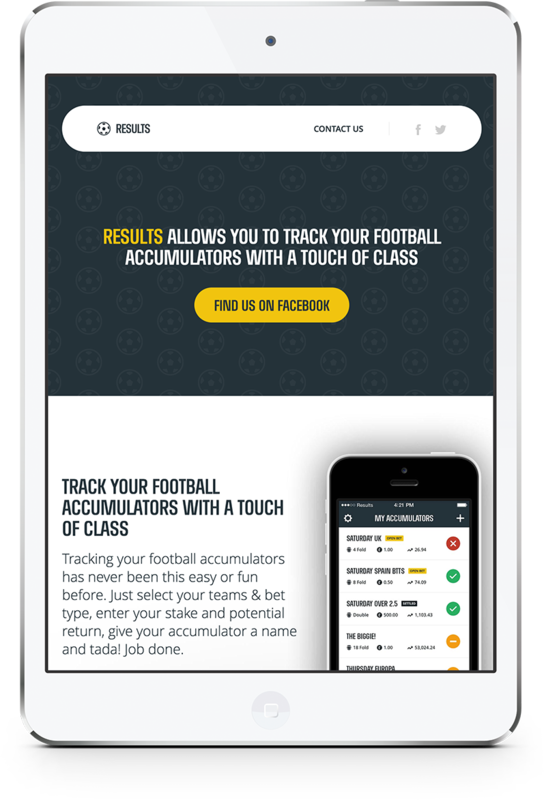 Bootstrap was used to create the responsive landing page, allowing it to look good on all devices from desktop down to mobile phones. Inkbug was a fascinating project to work on. The site was built with Wordpress and the WooCommerce plugin. The uniqueness came with the requirement to combine Instagram and WooCommerce, allowing customers to select which of their Instagram photos to print. I built a bespoke Wordpress plugin to meet the clients needs. If you would like to discuss your exciting new web development project please start by completing the form below with a little information about yourself and your project. Tell me what you can about your project. What do you want to achive? When would you like to start? Do you have a launch date in mind? Give examples of websites you like.